Summer bodies are made in winter. So they say. The truth is, no matter the season, motivating yourself to eat healthy (and exercise!) can be challenging. Since we’re well into October here in the Philippines, that basically means the country and its people are already in Merry Christmas mode. If you’re not familiar with the ‘ber months’, please ask any Pinoy nearby and they can explain. This time of year means lots of socialising, celebrating and entertaining – evidently translating to plenty of parties, feasts, food and alcohol. Given that my internal self-discipline is known to weaken during the holidays, I’m not reluctant to get a little help from external sources. Enter HUM Nutrition. My friends at V Kitchen Manila introduced me to HUM Nutrition; they started distributing it through another channel of theirs called V Lifestyle Manila. I was encouraged to take the quick questionnaire online and soon after I was connected with a free registered dietician who reviewed my data to create an individual profile and nutrient recommendation. HUM nutritionists share a strong interest in nutrition and how it can impact your weight, skin, wellbeing and ageing. HUM’s philosophy aligns perfectly with nutritionists’, whereby proper nutrition is instrumental to personal wellness and a wholesome lifestyle. Depending on your needs, they suggest which of their products will aid in supporting your goals. 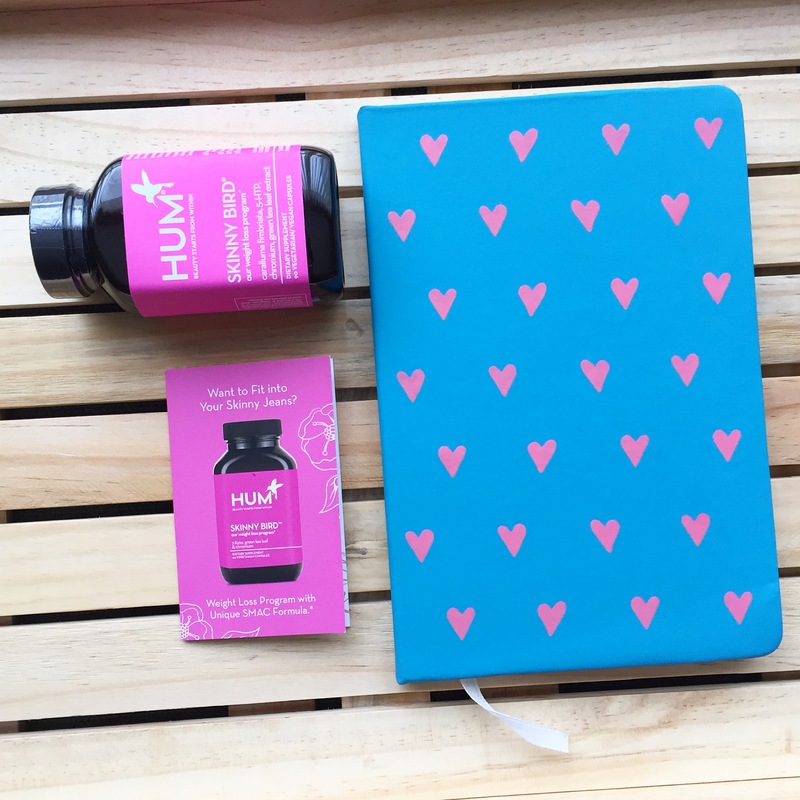 I did further research on HUM and really resounded with the brand when I found out that their products are 100% natural, non GMO, clinically proven and pure and potent. They do not use fillers or preservatives such as artificial colourings, flavours and ingredients. All supplements are vegetarian, and sustainably sourced, in capsule format. You will not find sugar, starch, yeast, wheat, gluten, corn, soy, milk, egg, crustacean shellfish, fish, peanuts, or tree nuts in your pills. One of my main concerns was reducing indigestion and related issues like bloating and fullness. Areas that I wanted additional assistance in were gaining increased energy and a faster metabolism. The two products prescribed to me were Skinny Bird and Flatter Me. I’m two weeks into the regimen and experiencing positive results so far! Unwanted pounds are kept in check and I’m learning that digestive enzymes could be my missing link to achieving a flatter stomach. I’ve outlined the basic information below for Skinny Bird and Flatter Me. 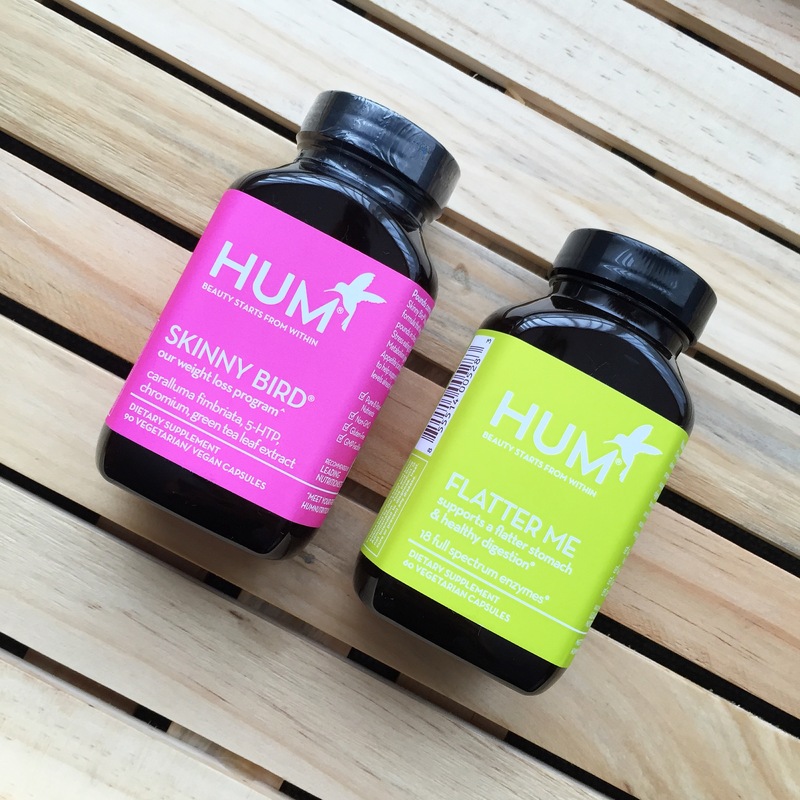 HUM’s own S.M.A.C approach combines four targeted solutions for successful weight loss support. The acronym stands for the following – reduce (S)tress eating, boost (M)etabolism, curb (A)ppetite, (C)ontrol blood sugar. 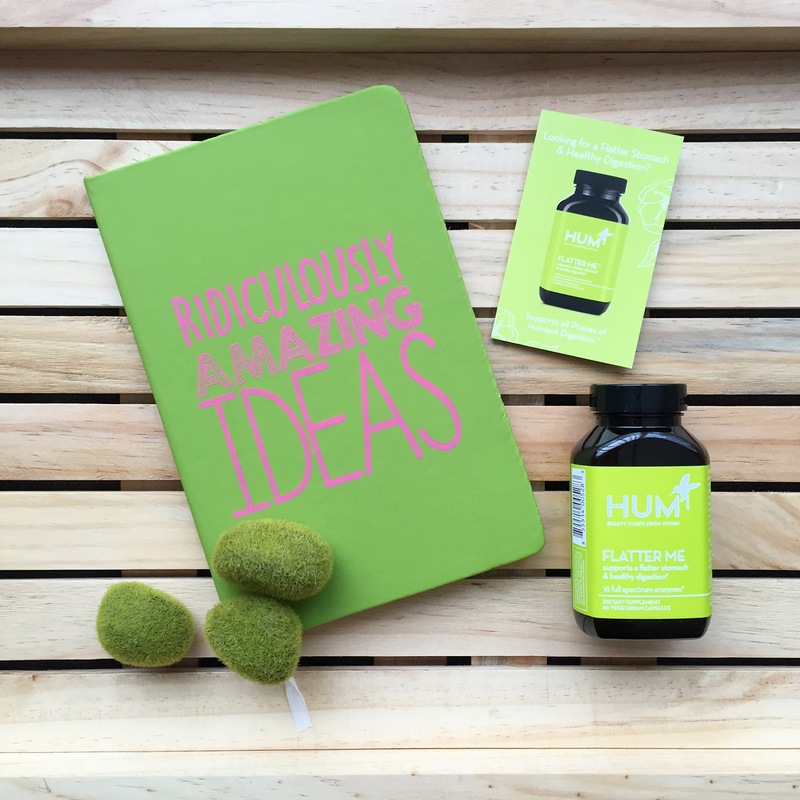 HUM’s unique blend of digestive enzymes helps you achieve a flatter stomach while improving your digestion.